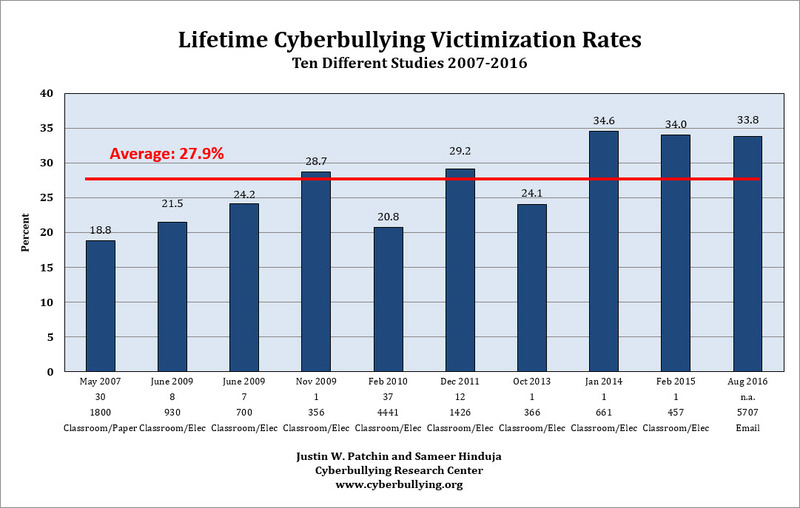 At the Cyberbullying Research Center we have been collecting data from middle and high school students since 2002. We have surveyed more than 20,000 students from middle and high schools from across the United States in twelve unique projects. 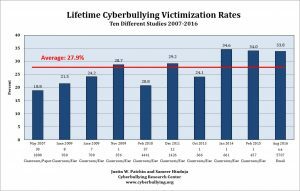 The following two charts show the percent of respondents who have experienced cyberbullying at some point in their lifetime across our ten most recent studies. Our two earliest studies (from 2004 and 2005) are excluded from this because they were online convenience samples and therefore cannot be easily compared to the other studies. The ten most recent studies have all been random samples of known populations which allows for improved reliability and validity. Please see our Research in Review addendum for more details about each of the samples. 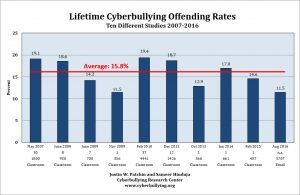 I believe that every student has experience bullying at some point during their school years and the best way to deal with the matter is at an early age. For example, when a student experiences bulling for the first time at a tender age they can recover from bulling because the issues are very small . 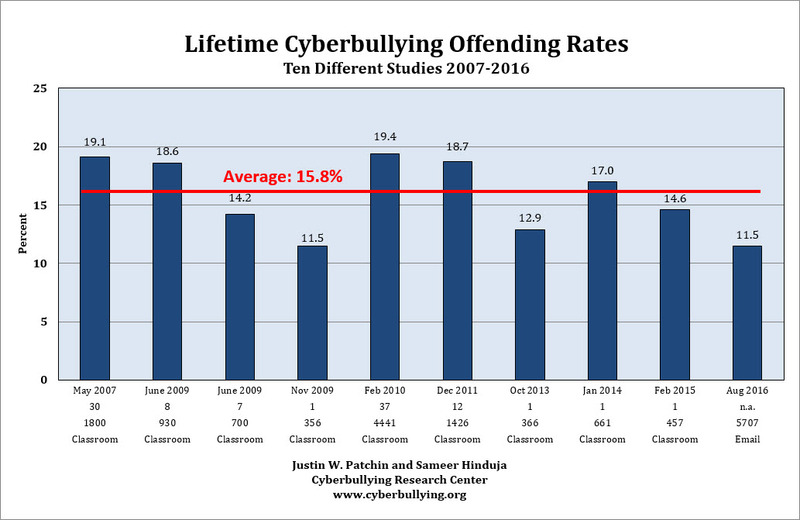 When an older student lets say in high school gets bullied and is the first time they are being bullied, it’s usually harder to get over because they are being bullied about more serious matter. I think that the people need to think this is not a thing that only affects only a few but a great many and many people don’t think of it that way so it cause not as much thought. I think that we have to respect to others and do not make comments that destroy emotionally to others.